Having a well-designed outdoor area adjacent to your living area is a great way to get more space when needed and to add value to your home. The indoor-outdoor concept is not a new idea, but when you combine it with an open floor plan, you can create a large entertaining area that your guests will love. Don’t be afraid to invest in big openings between your indoor and outdoor spaces. Double sliding doors or bi fold doors are a great way to blur the visual barriers between the two areas. When weather permits, you can open up the exterior wall and instantly double the floor space. Like all living areas, there needs to be plenty of seating. A table and chair or a bar and matching bar stools create a space to gather with friend and family. You may wish to incorporate sofas and armchairs to create a relaxed atmosphere. Give your outdoor space some evening ambiance by adding the right amount of light. Rather then harsh spotlights consider relying on pathway lights, fire pits or candles. Strategically placing lighting to call attention to water features, plant boxers are a great way to add a ‘wow’ factor to your entertaining area. 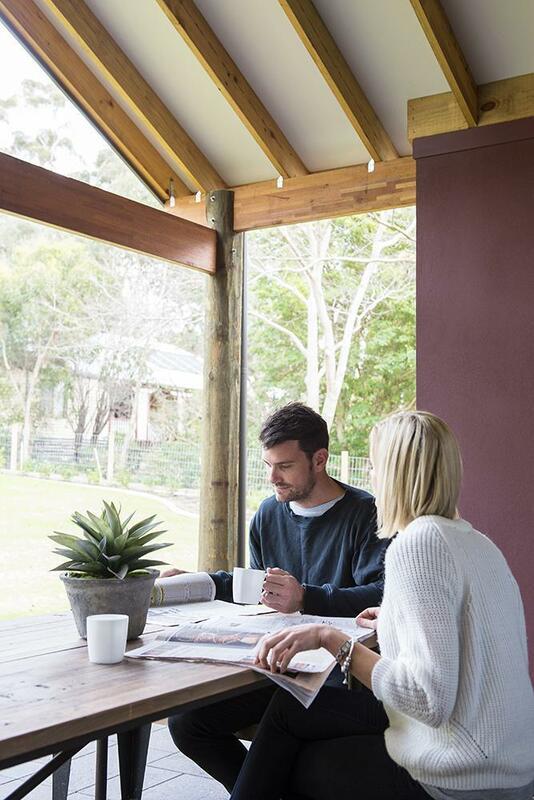 To ensure you get the most out of your outdoor space in the warmer months, you will need to ensure you have adequate shade. This can be provided by a covered alfresco, an awning or umbrella. You may also consider planting tall trees to block some sun shining into your indoor and outdoor living areas. If you want to use your outdoor living space all year around, you must plan for climate control. In the cooler months, add an outdoor fireplace or fire pit to heat things up. Large space heaters are another option which are very useful in outdoor dining areas. In the warmer months, keep the space cool with a fan, water feature or even pool! With some careful planning, you can create a beautiful indoor-outdoor space to relax and entertain guests while enjoying the outdoors.